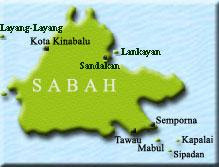 Muhd. 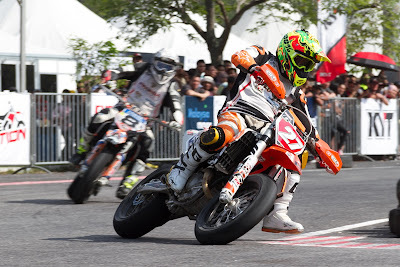 Habibullah Saleh, more popularly known as “Gabit” rode two masterful races to win his first FIM Supermoto Championship. The weekend had started on a somewhat iffy for Gabit. He had been strong throughout the practice sessions in the precious rounds, having regularly notching the best top-three times, but seemed to lack the pace this weekend, instead, posting the fifth and sixth fastest times and unable to improve beyond 54.100s. But as Gabit proved, the stopwatch is no match for pure determination. Lewis Cornish had grabbed the holeshot in Moto 2, followed by Richard Dibben on the inside and Chris Hodgson on the outside. Gabit found a way through into third before the left-handed Turn Three. Chris Hodgson had started lining Gabit for a pass into the corner, coming up Gabit’s left. However, to his and everyone’s horror, he went straight without slowing down, hit the barriers and crashed heavily. A trailing bike hit his helmet. Everyone was relieved when he got up and walked away with a sore wrist. Gabit won both Motos to earn the maximum 50 points. 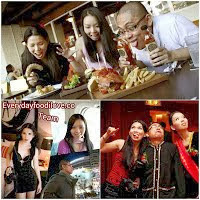 Gabit is the champion in both Open International and Asian categories. Chris Hodgson crashed out heavily in Moto 1. Lewish Cornish had cleared off in the lead, with Richard Dibben some ways back. But luck wasn’t on Cornish’s side when he went down hard after running straight into a stack of tyres, presumably due to brake failure. Dibben was now leading, but a determined Gabit started chipping away at his lead until he was right on the New Zealander’s tail. Gabit stalked Dibben lap after lap, while Dibben rode brilliantly to keep the Malaysian one bike length behind. As time counted down, it seemed as if the race will finish in that status quo. Then, with six laps to go, Dibben outbraked himself while heading into Turn One and left a gap on the inside. Gabit pounced on the opportunity and went through. Dibben fought back by pressuring Gabit initially, but Gabit held his nerve to open up a gap and won the race. “I was getting tired due to the heat. I thought I’d just follow Dibben to see how far his stamina takes him. Then he went wide, and I took the chance and kept going. I had broken my rear brake pedal by that time.” Gabit explained. 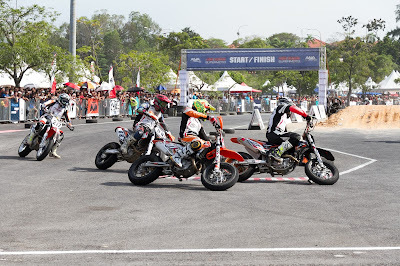 Behind them, Andy McLiesh battled with Khairi Zakaria and Yasushi Matsumoto. 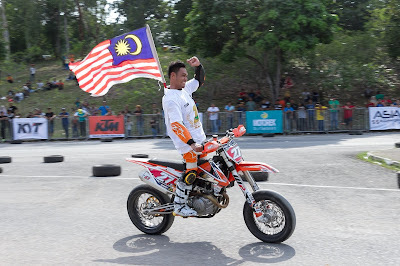 But Khairi prevailed to finish third with Matsumoto behind him. 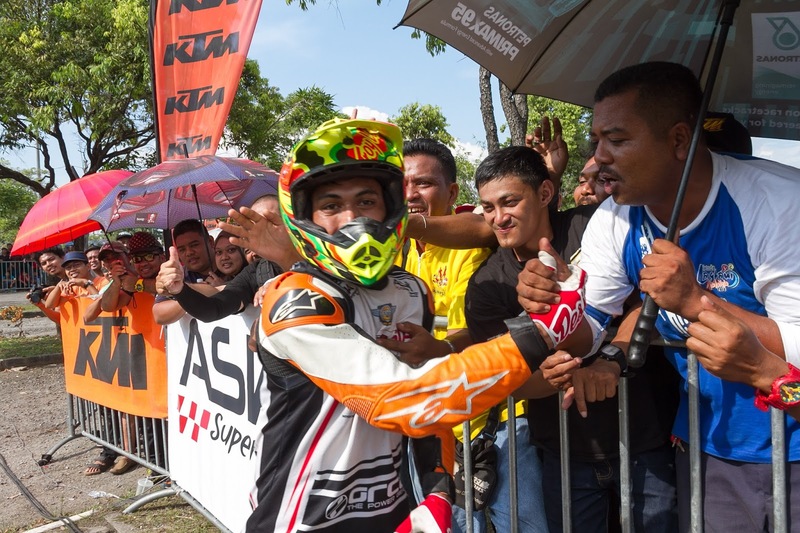 Gabit had only needed to finish third in both Motos to seal the title in both Open International and Asian classes, and part of his work was done by having won Moto 1. But the plucky Malaysian didn’t let up in Moto 2. He shot straight through into the lead as soon as the flag went down. But he was pursued and pressured hard by Cornish, Dibben and McLiesh, which started a frenzied race pace. A slip would see all three, possibly four riders overtaking him. The Malaysian fans, all the 25,000 to 28,000 of them, gasped when Cornish managed to force Gabit to go wide at Turn One and took over the lead. Gabit fought back immediately into Turn Two after the first dirt double jump. Cornish’s bold move must have set off all Gabit’s alarms prompting him to put the hammer down and started to open up some space almost immediately. Gabit managed to put backmarkers in the way of his pursuers by mid-race. The pursuing three had to content with traffic at the tighter and inopportune parts of the track. That resulting chaos allowed Cornish, Dibben and McLiesh to start trading places. Dibben then got the better of Cornish and homed in on Gabit like a guided missile. Cornish and McLiesh started fading further and further back. It was later revealed that Cornish had broken his gear shifter forcing him to race in fourth gear. By now Gabit had responded to Dibben’s challenge and pulled out a three-bike-length gap. Dibben now had to contend with Yasushi Matsumoto. 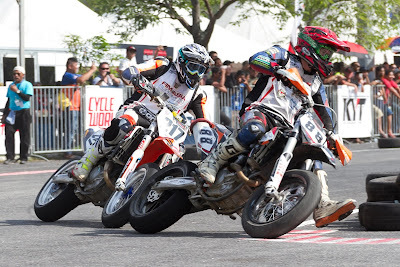 The Japanese Flat-Track Champion, who had impressed many since his debut in the Philippines, was visibly the fastest man on track and had charged up the field to challenge Dibben. Just three laps from the end, another gasp and yells went up from the partisan crowd as Gabit over-jumped the second double-jump. He managed to gain control and ride away. In the end, Gabit crossed the in line first, followed by Dibben with Matsumoto almost alongside. 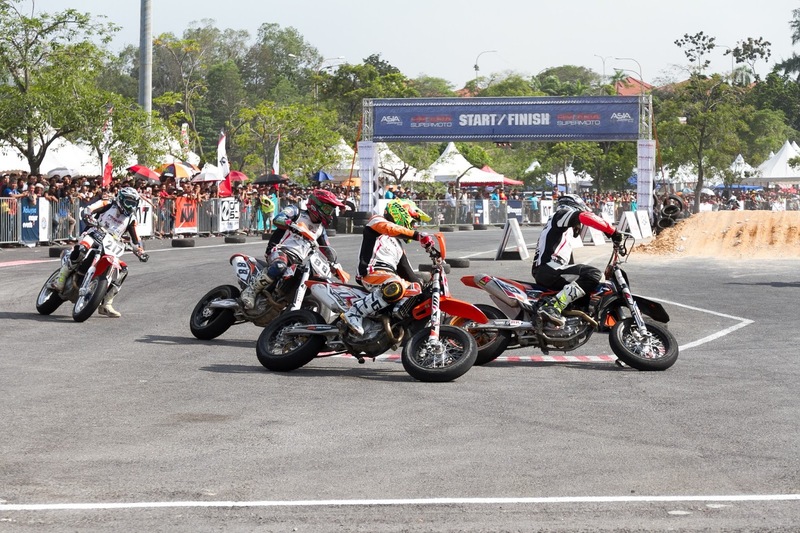 Gabit conveyed his thanks to his team, KTM Malaysia, supporters and fans, family and friends for being instrumental in his quest to win the FIM Asia Supermoto Championship.